PEAVEY RBN 10 and RBN 12 Pa speakers Now in stock. Takamine Guitars were first built in Nakatsugawa, Gifu, Japan in 1962.The name "Takamine" coming from the mountain near the city. Their reputation for producing quality steel strung acoustic guitars has been felt the world over. In 1978 they were the pioneers of the electro-acoustic movement with the first preamplifier with an equalizer! They offer several different ranges of quality guitars and today we can look at a few models shortly to be arriving. 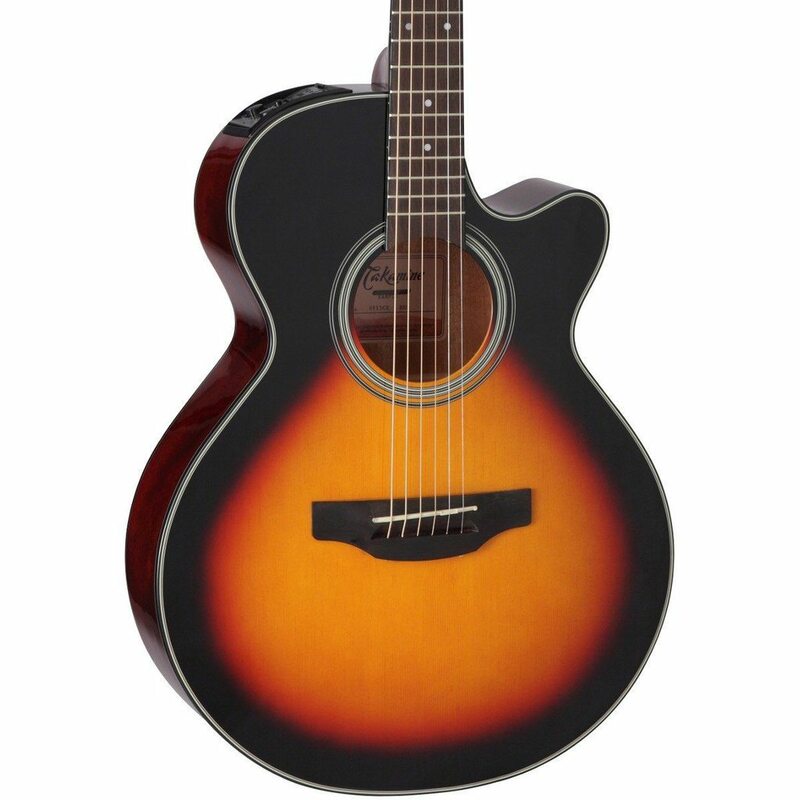 The Takamine GF15CE features a spruce top with mahogany back and sides that produce notable sweetness and articulation. The slim mahogany neck and 12" radius Ovangkol fingerboard provide great feel and playability, while the onboard Takamine TP-4T preamp system gives you a built-in tuner with three-band EQ and gain controls for excellent amplified performance and versatility. Other great features include a pin-less Ovangkol bridge for easy string changes, synthetic bone nut and bridge saddle, rosewood headcap, pearloid dot inlays, chrome die-cast tuners and an elegant gloss finish. Different finishes are avaialble including sunburst and black displayed above. 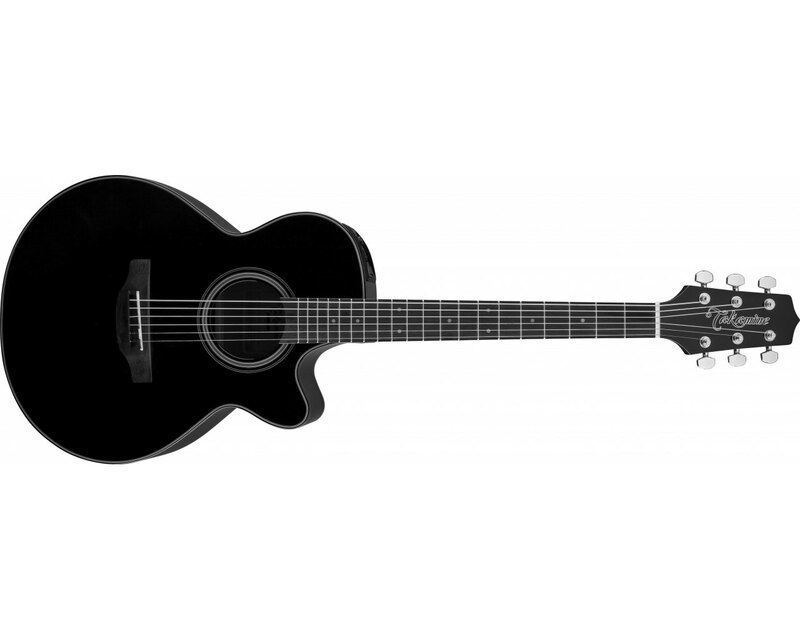 A great choice for any player seeking the well-balanced sound of a small-bodied guitar, the GF30CE combines a solid spruce top with mahogany back and sides that produce notable sweetness and articulation. The slim mahogany neck and 12”-radius ovangkol fingerboard provide great feel and playability, while the onboard Takamine TP-4TD preamp system gives you a built-in tuner with three-band EQ and gain controls for excellent amplified performance and versatility. Other great features include a pin-less ovangkol bridge, synthetic bone nut and split bridge saddle, ovangkol headcap, pearloid rosette and dot inlays, chrome die-cast tuners and a beautiful gloss finish. Available in Natural, Black and Sunburst. 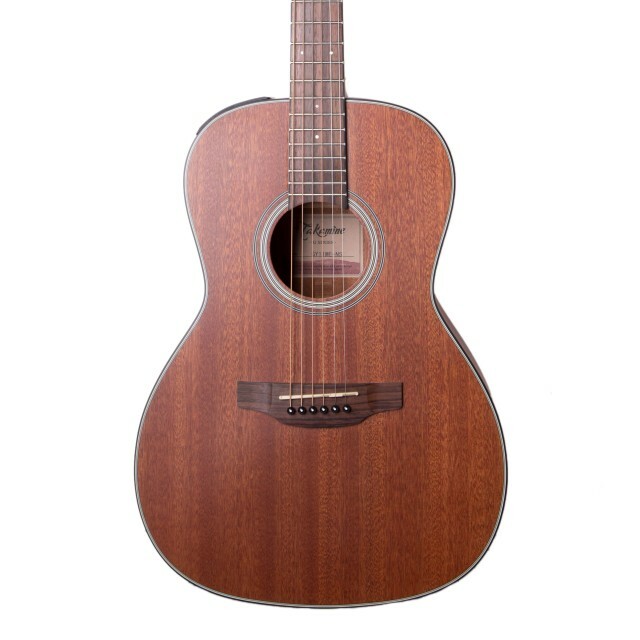 For players looking for a different sound, the TG-Y11MENS combines a mahogany top with mahogany back and sides to produce a warm, detailed tone that works beautifully for a wide range of musical styles. 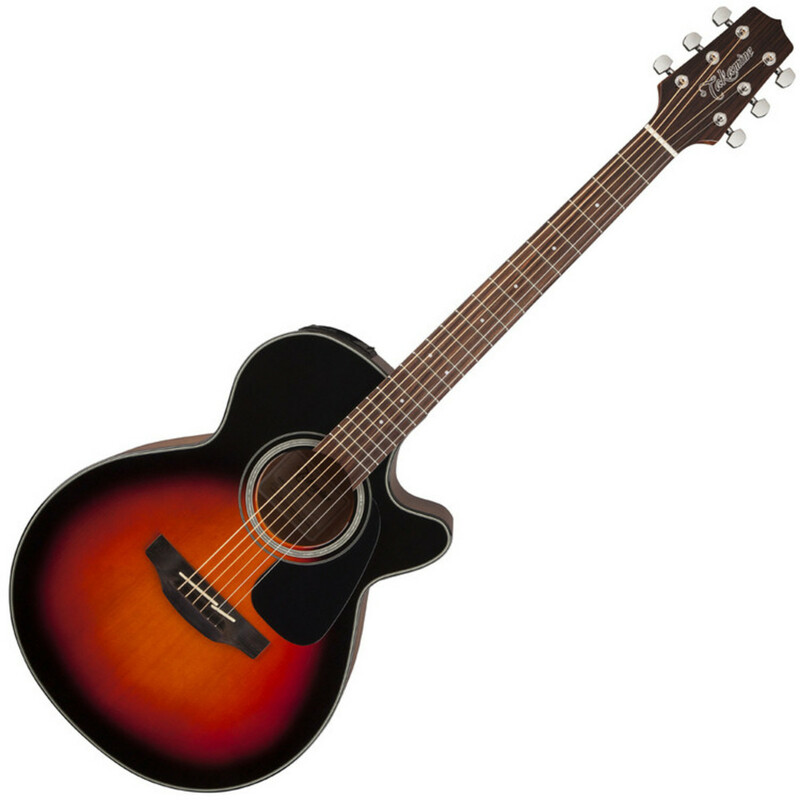 The slim satin-finish mahogany neck and 12" radius rosewood fingerboard provide great feel and playability, while the onboard Takamine TP4T preamp system gives you a built-in tuner with three band EQ and gain controls for excellent amplified performance and versatility. Other great features include a synthetic bone nut and compensated bridge saddle, rosewood headcap, dot inlays, chrome diecast tuners and an elegant Natural satin finish.